Home » World News » Indian-American's 'Moon Express' will take human remains to Moon! Indian-American's 'Moon Express' will take human remains to Moon! 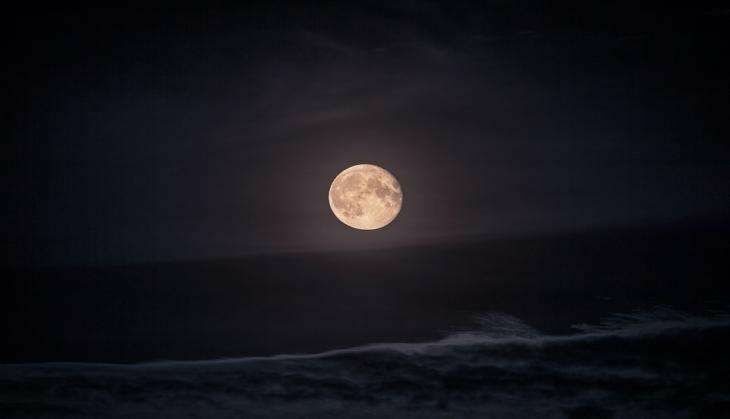 A private firm, Moon Express, co-founded by an Indian-American and licensed to launch a spacecraft and land on the Moon, plans to take human remains to the Earth's satellite at USD 3 million per kilo, according to a media report. Moon Express, co-founded by Naveen Jain, was last week granted a license by the Federal Aviation Administration (FAA) to launch a spacecraft and land on the Moon in 2017, becoming the first private company to get such approval. The breakthrough US policy decision provides authorisation to the company for a maiden flight of its robotic spacecraft onto the Moon's surface, the company had said. The New York Post reported that Moon Express's plans for commercial cargo include taking human remains to the Moon. Jain told the New York Post that the delivery of one's ashes for lunar interment would be based on a "payload" price of USD 3 million per kilo. "Since the cremated remains of adults generally weigh between 4 and 6 pounds, the indicated price range is USD 5.4 million to USD 8.1 million," the Post said, adding that the demand for such a service is high. "We already have a long list," it quoted Jain as saying. There have been no private space missions so far beyond Earth's orbit and only state agencies have performed outer space missions. "The sky is not the limit for Moon Express, it is the launchpad. Space travel is our only path forward to ensure our survival and create a limitless future for our children," Jain had said following the announcement by FAA. "In the immediate future, we envision bringing precious resources, metals, and moon rocks back to Earth," he had said. The company was co-founded in 2010 by space visionary, Bob Richards, Jain and serial entrepreneur and artificial intelligence and space technology guru, Barney Pell, with the common vision to be at the forefront of commercial space exploration and innovation.